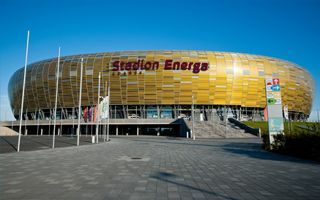 Just like in 2010 with PGE, today the management of Arena Gdańsk signed a naming rights contract with major energy provider, this time the regional supplier Energa. Not only the sponsor, but also managing company is different than 5 years ago, when it was the municipality of Gdańsk sealing the deal. Energa had been named as most likely successor of PGE for month now, because already in 2014 PGE was linked to buying the name of Stadion Narodowy. That partnership became official in July, while PGE’s contract in Gdansk ended on September 30. From today onwards the Gdansk stadium will be named Stadion Energa Gdansk for five years. This means that the venue is Poland’s first to secure a decade of naming rights partnerships, just as it was the first to find its sponsor in 2009 (deal came into effect in 2010). The new contract is worth an estimated PLN 4.5 million annually (€1.05m / $1.15m), which represents over half of the previous contract. However, as was confirmed during today’s press conference, that amount is the maximum to be paid if all contractual agreements are met each year.